Manufacturer of a wide range of products which include plastic granules recycling machine, plastic dana machine, plastic waste recycling machine, plastic granules making machine and waste recycling machine. We, Archana Extrusion Machinery Manufacturing, are one of India’s leading manufacturer of high-quality Plastic Granules Recycling Machine and plants. We, Archana Extrusion Machinery Manufacturing, are one of India’s leading manufacturer of high-quality Plastic Dana Machine (Plastic Granule Machine) and plants. We are engaged in manufacturing a wide range of Waste Recycling Machine. We are engaged in manufacturing a wide range of Granules Making Machinery which caters to the plastic processing requirement of various application areas. We, Archana Extrusion Machinery Manufacturing, are one of India’s leading manufacturer of high-quality Plastic Granules Making Machine and plants. 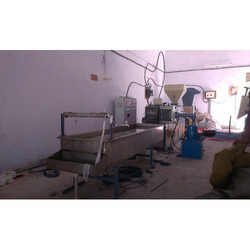 We are well acclaimed as a reliable firm of highly demanded Waste Recycling Machine.